I started working in the garden on Friday – which was mostly removing dead growth. The garden needs a lot of work in my mind and we are limited to what we can do so I think it is going to be a slow process bringing it back to life. With Fall approaching I have decided to sit tight and not do much of anything until next spring. 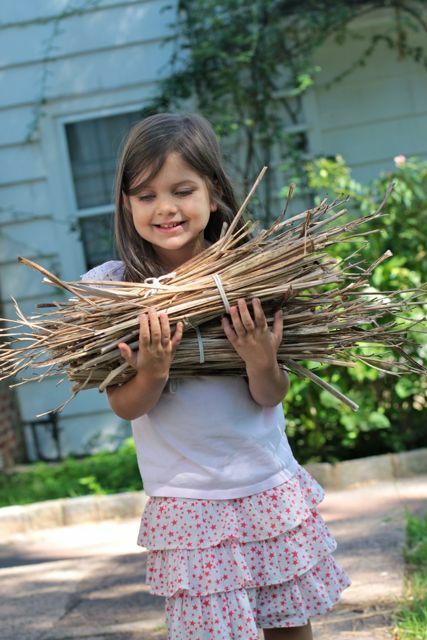 We weeded the iris and lillies and I ended up with a big pile of thin dry sticks and twigs. 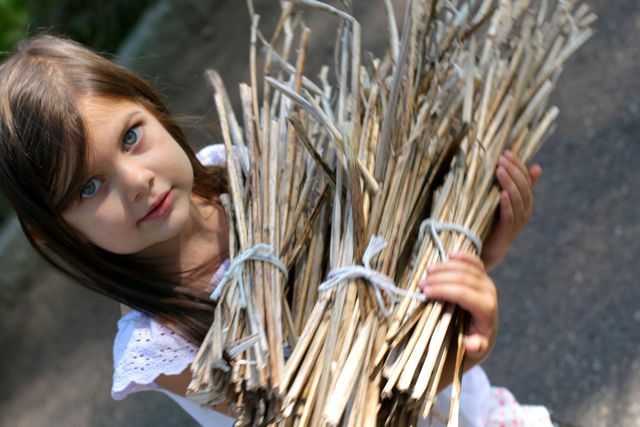 I can find beauty in just about anything and so transformed the pile of rubbish into neat bundles of kindling. 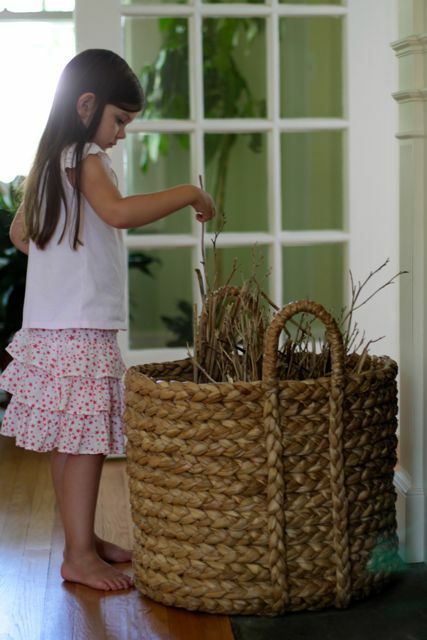 Maya carried them into the house and put them in the wood basket. 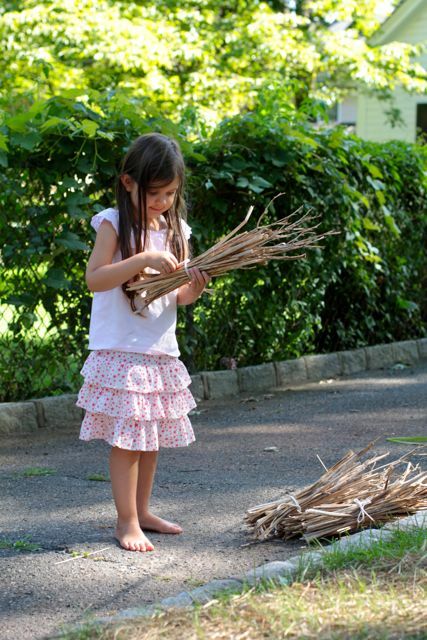 We will use them to start fires when the weather gets colder. I have to say, we are looking forward to lighting our first fire this Fall, our little home will be so cozy! This entry was posted in G A R D E N and tagged home.